This sauce is perfect for pasta dishes, poured over roasted veggies or a roasted potato, or drizzled over some sourdough loaf. Boil cashews for 30 minutes and rinse. 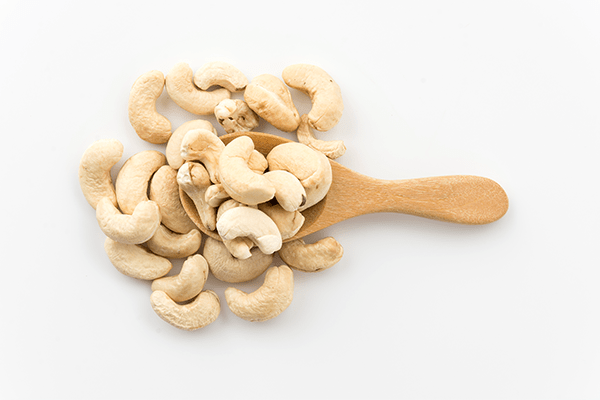 Place cashews in a food processor or high speed blender with the broth, garlic, and salt. Blend the ingredients until very smooth. Add water to improve consistency if desired. My favourite dish to make with this sauce is a creamy mushroom pasta! All you do is add some sautéed mushrooms to the already blended sauce and pour over a bowl of gluten free tagliatelle. Sprinkle some nutritional yeast over the top for a more cheesy taste.